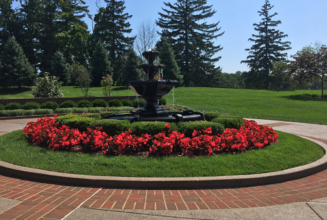 Commercial Landscaping | Ponzani Landscaping Co. The Ponzani Landscape Co. offers a comprehensive range of landscape services to ensure landscape of your commercial stays healthy and well maintained during all seasons. We work with owners, managers and property management companies to create a book of services specific to your site and annual exterior budget as well as work with corporate provided specifications and budgets. Multiple invoicing options to meet your specific operating needs.